This moisturizing cream hydrates and plumps skin cells resulting in radiantly smooth skin as it protects from environmental pollutants that cause premature aging. 1 oz. CoQ10: Boosts skin repair and regeneration while neutralizing age-inducing free radicals. Gingko Biloba: Increases collagen production and is a natural anti-inflammatory. Green Tea Seed Oil: Reduces signs of aging, evens skin tone, and brings out a glowing energy. 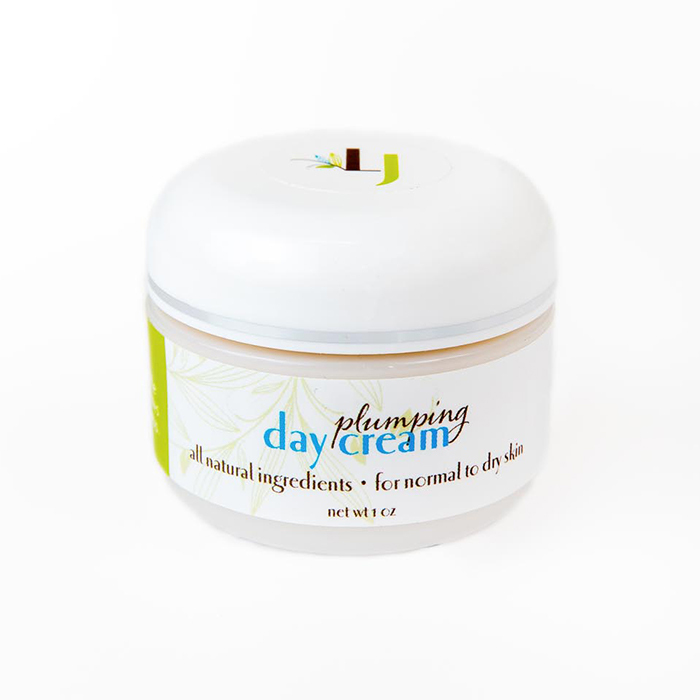 I love this Plumping Day Cream. I look forward to putting it on every morning. When I pack for travel this is the first item I am sure to put in my bag. Like this day cream. It applies smoothly and has a pleasant scent. I have been using it for many months and am pleased with the results. 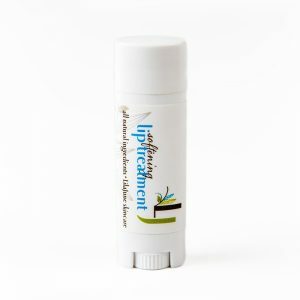 I have been using LilaJune facial creams for 4 years and love them! They are light but rich, not greasy, or heavy, and absorb so well. I ran out while on a trip and had to buy a different product. I was reminded why I use LilaJune. It is so much better. My skin is much happier with all the natural ingredients used in Jennie’s creams. I really like the light texture of the day cream, it absorbs into my skin very well. 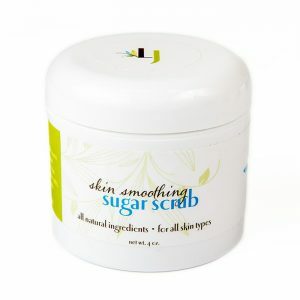 It helps my skin feel and look nice and healthy! It’s nourishing and it gives me a glow! 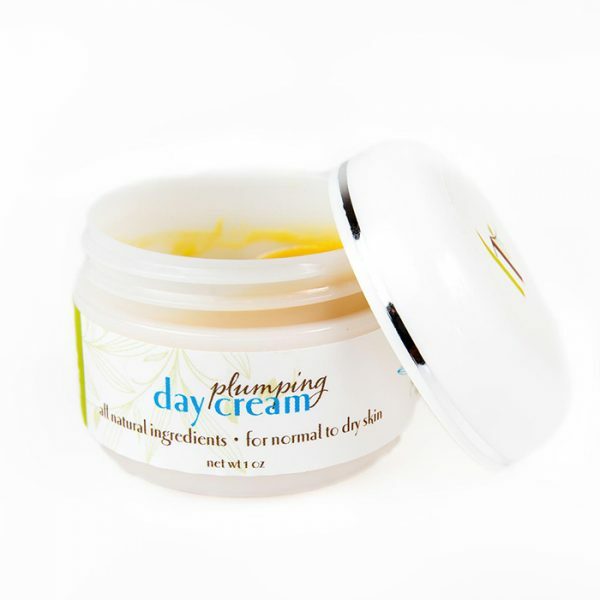 It has practically no scent whatsoever, that’s very hard to find, even among all-natural moisturizers – it looks pure and fresh in the jar too. I love it! :-).